Become a part of an exclusive club filled with single military men who want to find their significant other. Whether you are in the military or someone who is attracted to them, you will love to meet soldiers online who are looking to share some good experiences and want to find a date with army singles. Meet Military Singles Just Like You, in Absolute Confidence! Being in the military can be pretty intense as it is and doing it alone can be difficult and that is why our army dating site is here to help you connect with military singles. Use Military Planet to find new connections as it has quite a few features to help you meet someone special. Whether you are in the military or merely someone who adores single army men, Military Planet will help you find everything you are looking for in one place. Dating a soldier is like dating anyone else except for the fact that their job takes almost all of their time and even having to leave the country. That’s what makes it so exciting because they will be able to share their experiences with you as well as them being so committed to their positions that they would be just as much in a relationship. Meet military men and see what new connections await you, find out what they like and dislike about it, or share what you like or don’t like about it to someone special. Army dating is not so different than any other online dating site, except that it is much more intriguing and men in uniform dating sites can really get those butterflies in your stomach. Meet military women who are hoping to find someone special to share their life moments with and want to find someone who understands their lifestyle. Being in the military can be stressful because you barely get any time for yourself. Living a hectic lifestyle and never knowing when you are going to leave for overseas can also play a huge toll on your love life. Thinking that no one could possibly understand and will not want to be with you because they never know when you will leave makes dating feel impossible. Nevertheless, that has all changed with Military Planet; a site that is ready to help you meet military singles who understand your lifestyle and personal choices. Now you can find that military romance that you have always wanted without ever having to leave your comfort zone until you are ready to do so. With the amount of features that we provide that will help you connect with that special someone is as easy as turning on your phone. We all know that dating someone in the army is not as easy as pie, but when you meet that special someone who understands you like no one ever has, it makes it all worth it. 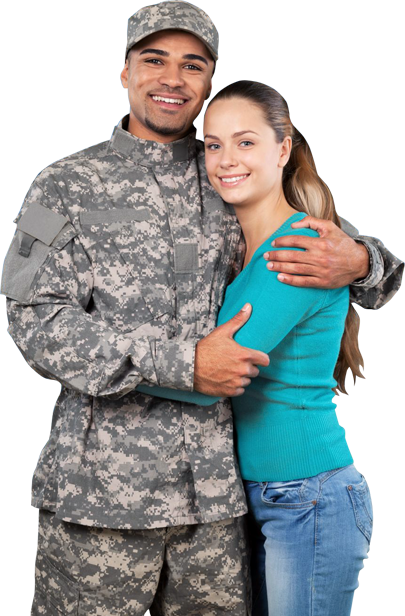 There are no other military dating sites like Military Planet that are committed to helping you find dates with other military singles or those who adore them. Once you become a member of this amazing military community, you will begin to understand how simple it is to find someone who wants the same things you do in life. Browse through our endless array of member profiles until you find someone that you want to connect with and instantly message them. See for yourself how easy it is to meet military singles and have civil military relations. Your social circle will start expanding and your love life will begin to flourish once you join this amazing military dating site.